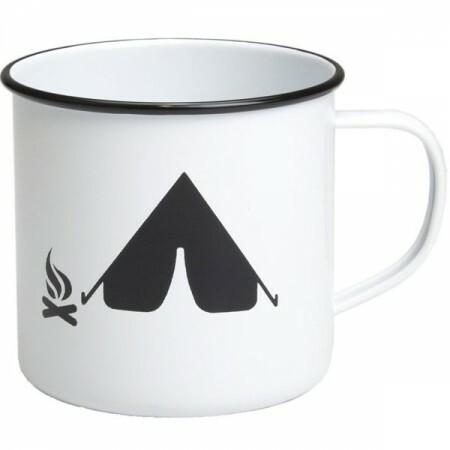 A classic white pannikin (metal cup) with a retro camping decal. Perfect for use outdoors like camping and fishing or for around the home. This enamel mug features a white body with a black decal and rim. Made from high quality metal with enamel coating. 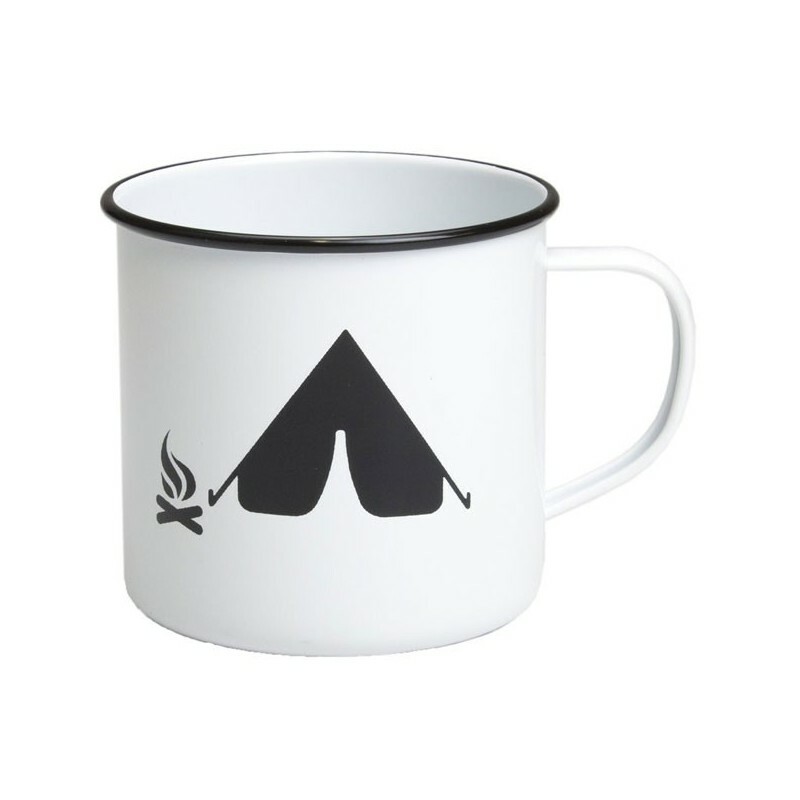 This metal mug is such a cute little item to have when camping. Very happy with how it looks and feels.